MUD's Contour Powder is a pigment-rich pressed powder that is formulated to create natural contours and highlights. It adds shape and definition to the face by expertly emphasizing on your best features. It glides smoothly, is highly blendable and ideal for sculpting and enhancing eyes, cheekbones, nose, and jawline. Its silky, smooth texture blends easily together to create a natural-looking definition and subtle glow. Highly pigmented pressed powder formula. Define features by creating shadows and reflections. Available in a variety of shades to match all skin tones. Burnish - A medium-dark, warm brown contour powder/ Suitable for shading medium-dark skin tones. Chisel - A dark, warm brown contour powder/ Suitable for shading dark skin tones. Define - A light, neutral brown contour powder/ Suitable for shading fair to medium skin tones. Lemon - A pale yellow highlighting color/Yellow hue helps to reduce unwanted redness in the skin. Luster - A pearlescent, pinkish-white highlight powder/ Suitable for highlighting fair to medium skin tones. Sand - A light, warm beige highlight powder with a touch of olive/ Suitable for highlighting fair to medium skin tones. Shape - A medium, warm brown contour powder with a touch of olive/ Suitable for shading medium skin tones. Warmth - A muted, golden orange highlight powder/ Suitable for highlighting medium to dark skin tones. 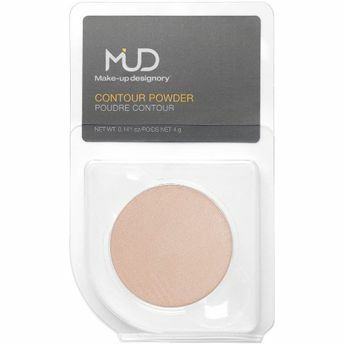 Alternatively, you can also find many more products from the MUD Contour Powder Refill range.